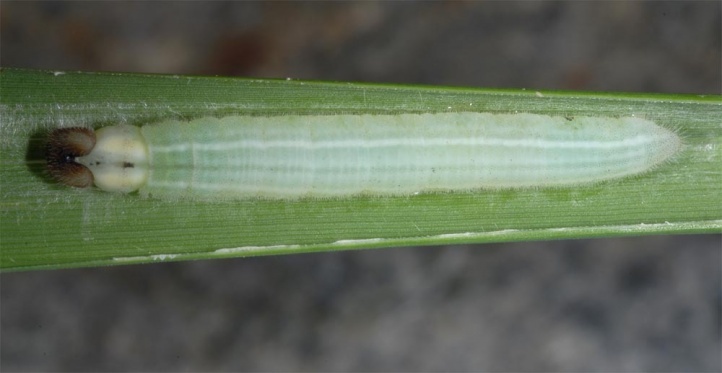 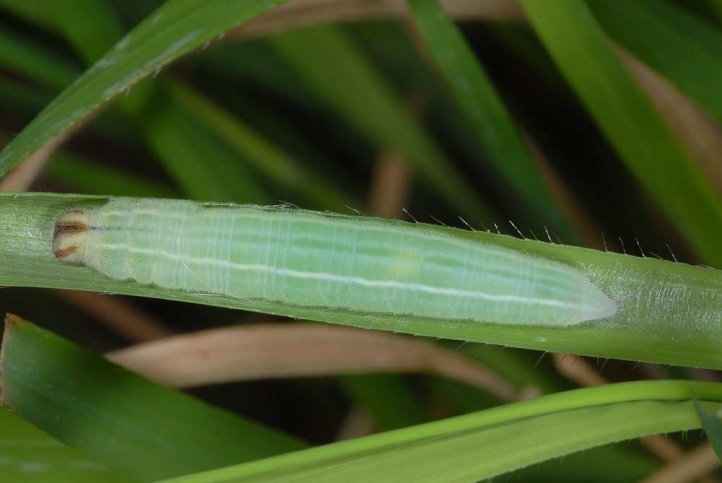 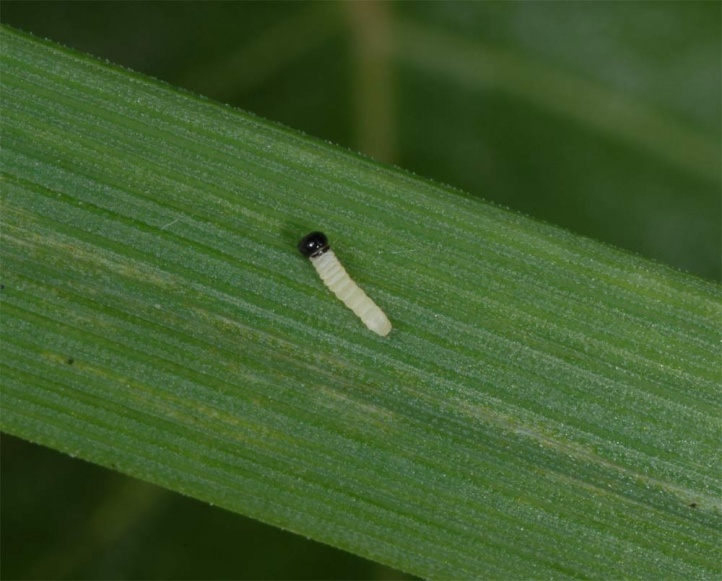 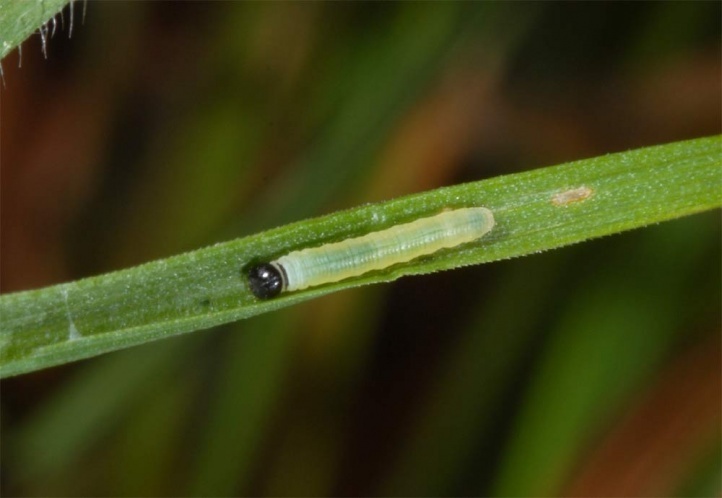 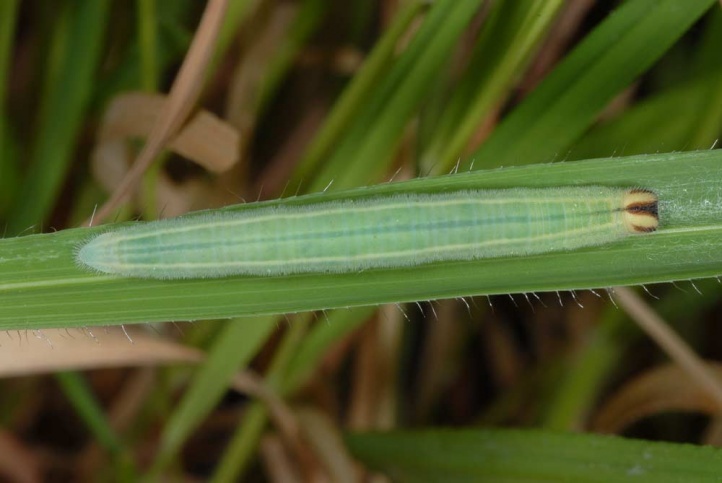 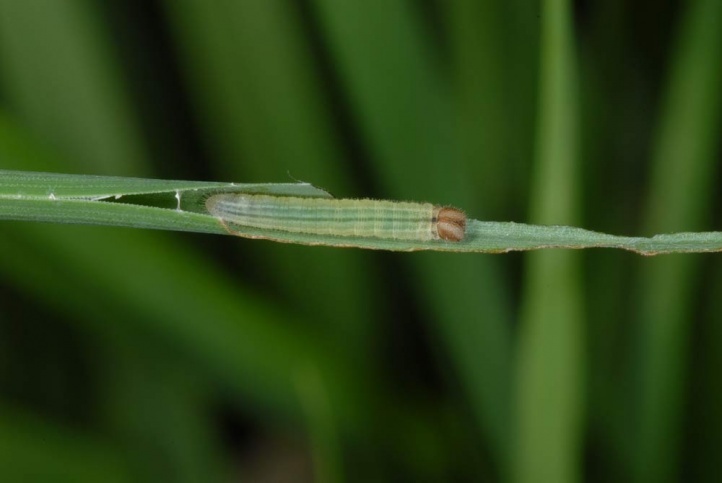 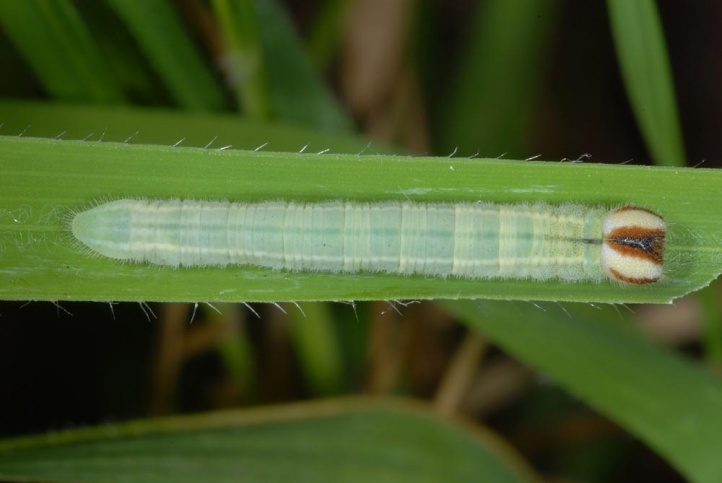 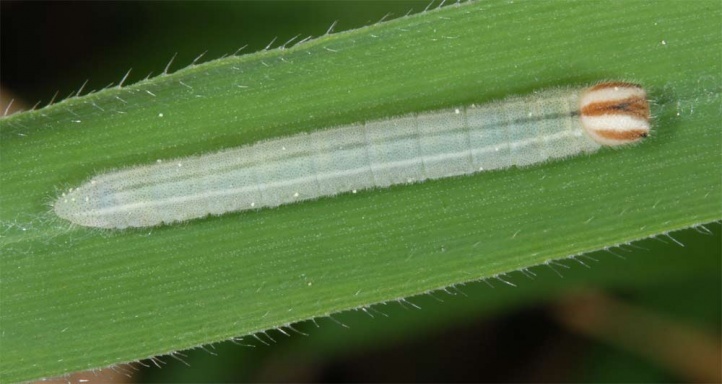 The caterpillar lives on grasses with medium to high production, such as Molinia, Phleum or Brachypodium. 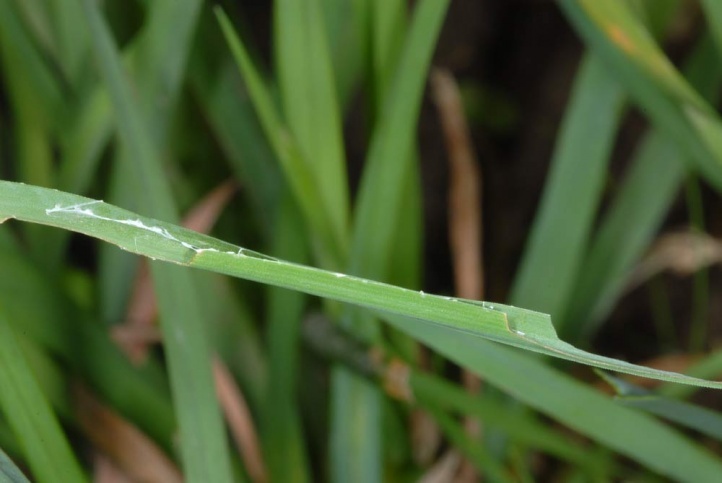 The focus is in the moist area. 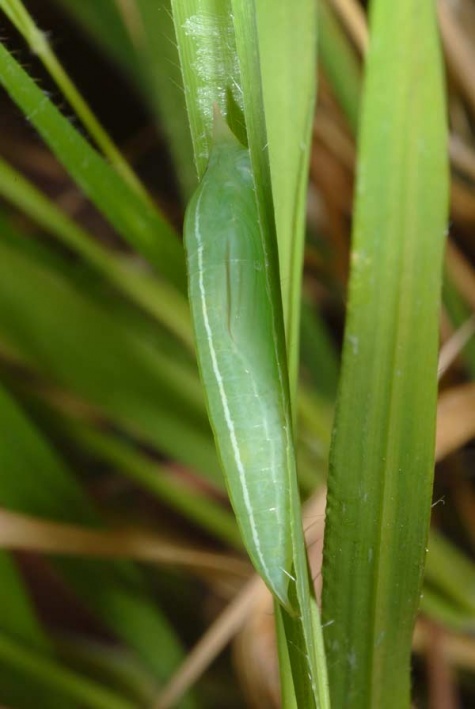 Heteropterus morpheus inhabits Molinia stocks on humid forest edges, in forest gap systems, wetlands, quarries, extensive cattle pastures and similar places. 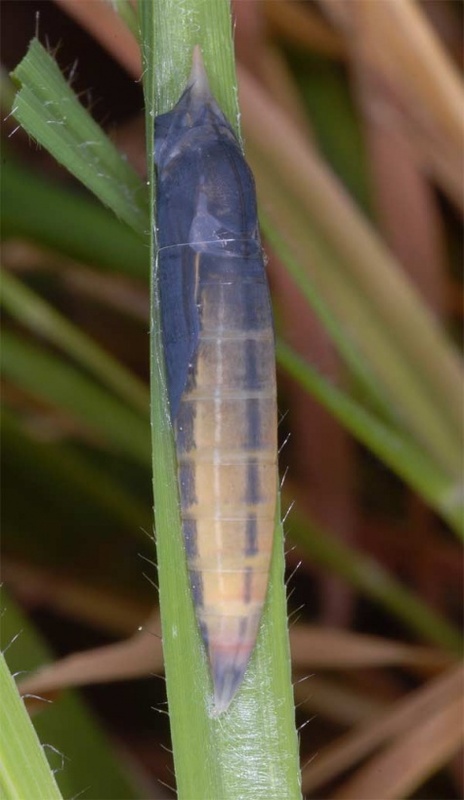 Heteropterus morpheus is quite tolerant towards eutrophication. 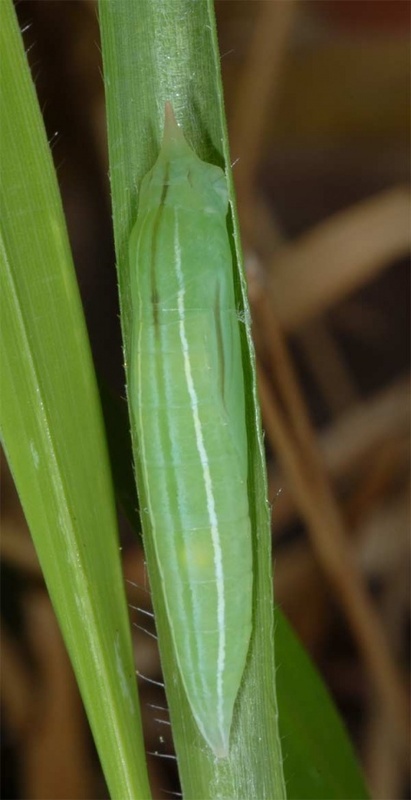 The caterpillar overwinters in the third instar and is mature in June. 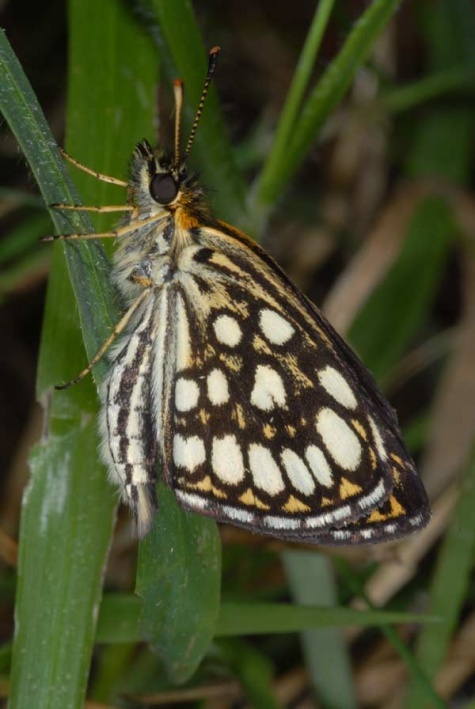 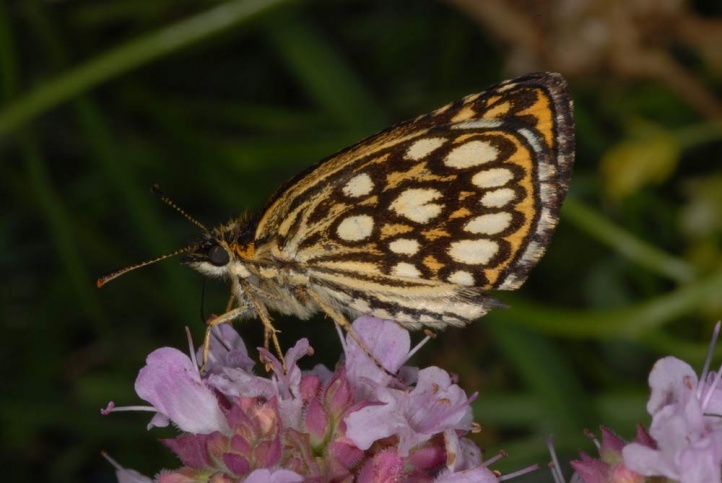 In the spring it is becoming active quite late (late April/early May), while for example larvae of Pyrgus serratulae start feeding as soon as late February or early March. 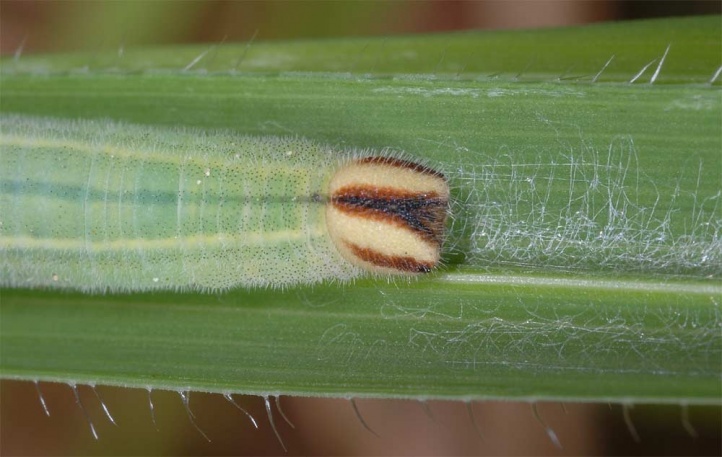 This apparently correlates with the late sprouting of Molinia. 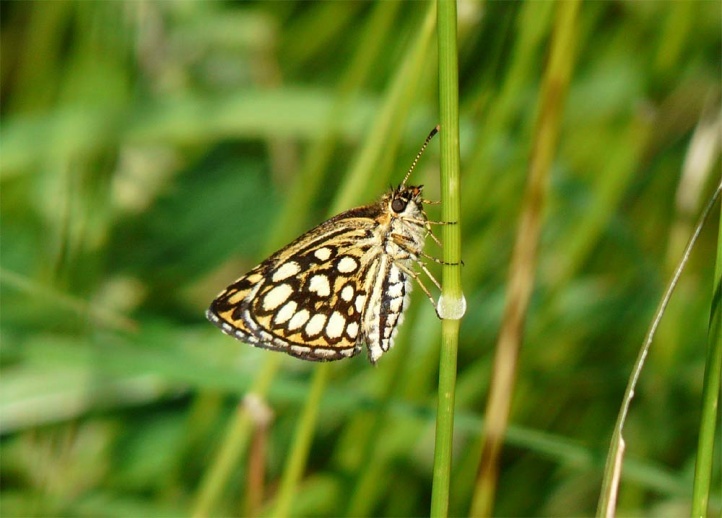 The flight time is from early July to mid-August. 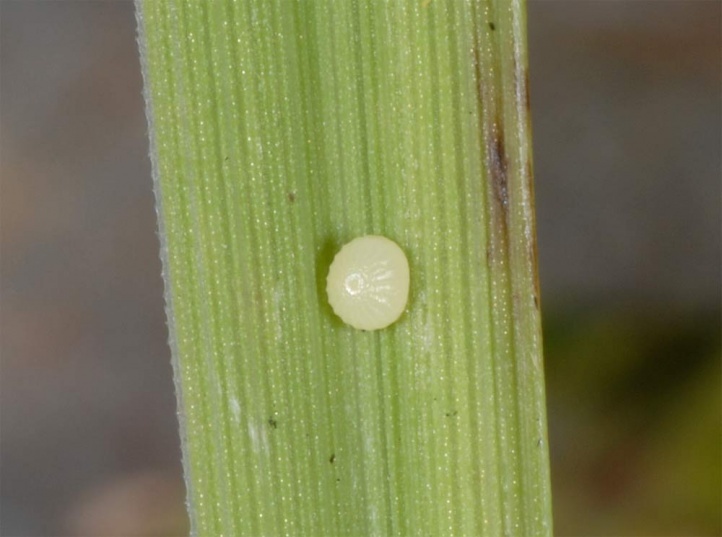 The eggs are usually attached to the grass leaves. 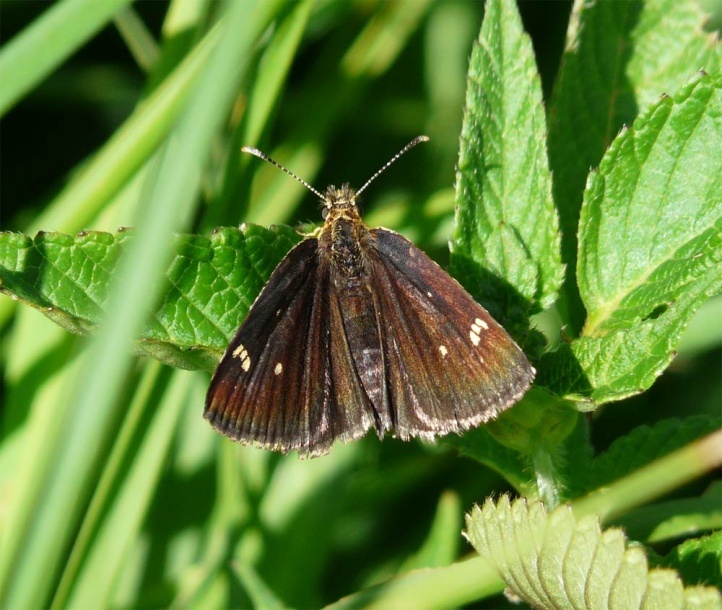 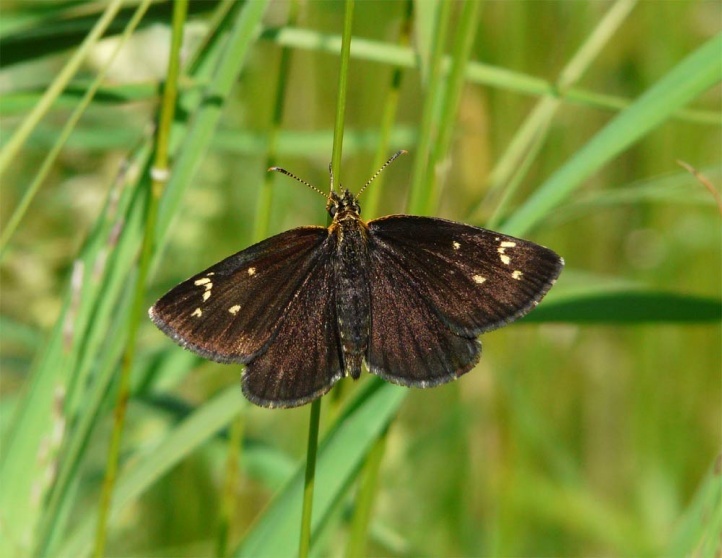 Heteropterus morpheus is threatened for example in Ticino by agricultural intensification (intense mowing) and increasing bush encroachment. 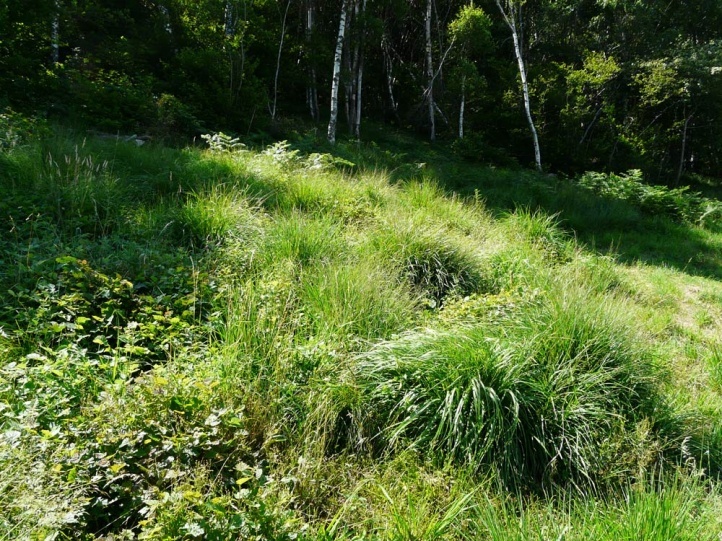 On the other hand it can hold up well against eutrophication. 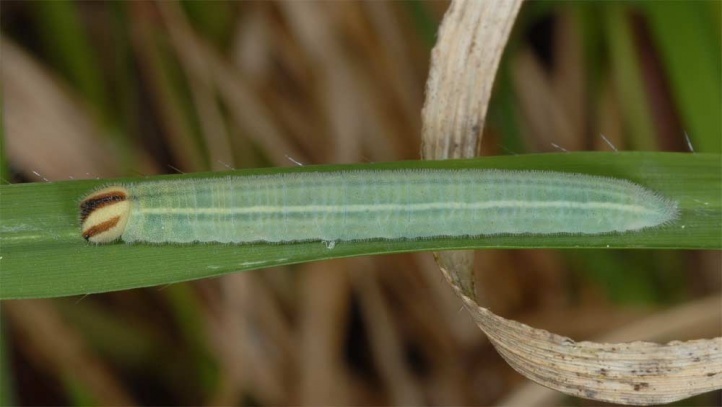 Overall, Heteropterus morpheus should be in decline, since it requires unmown places that are increasingly rare. 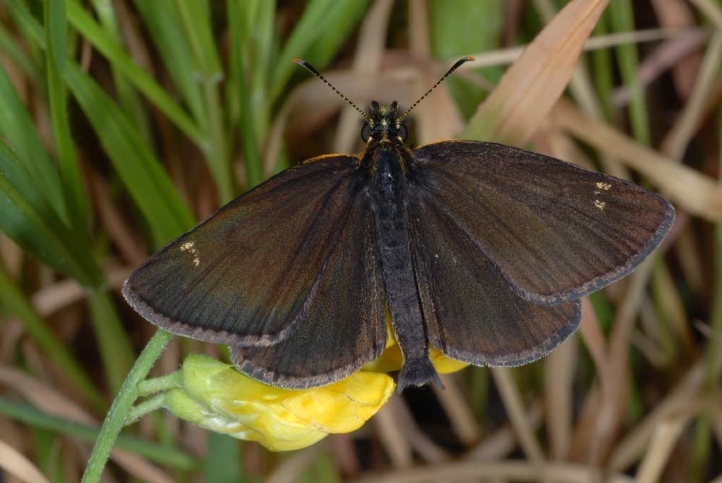 Heteropterus morpheus is known by the bouncing flight. 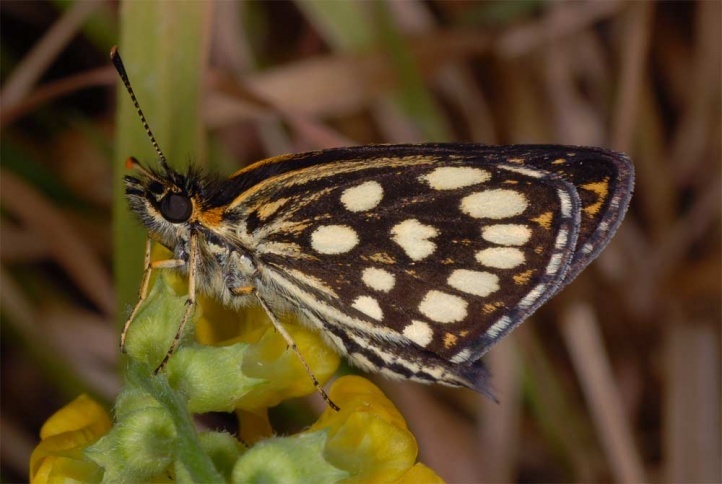 It has a disjunct distribution and occurs in western France, the Netherlands, Northern Italy, Ticino and widespread from north-eastern Germany and eastern Austria to the east across temperate Asia to Korea.